Money. It's the limitation placed on the township council in providing services and planning capital improvements. The state requires that for every expenditure committed in the municipal budget, sufficient revenue be anticipated. 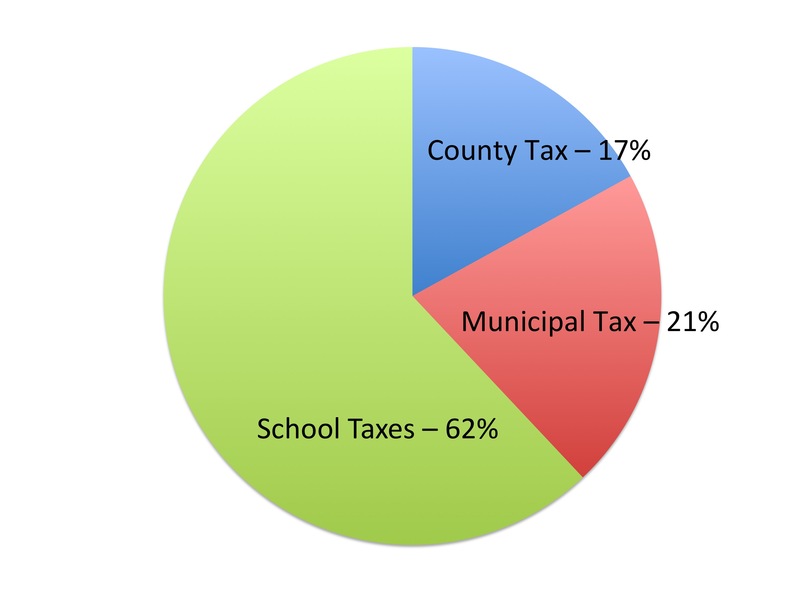 The primary source of this revenue for the township is property tax. Increasingly, the cost of local government is fixed by factors over which the council has little or no control (e.g., state mandated programs, utilities, insurance costs, debt service). To limit property tax increases, the council must find new revenue sources and control discretionary spending. More and more the quality of life in the township, as determined by council, becomes a matter of wise money management. Charged specifically with the responsibility for this management are the mayor and council, the manager, and the finance department. The New Jersey Division of Local Government Services and the state Division of Taxation supervise and guide the financial affairs of the township. The state approves the municipal budget and oversees its administration by requiring an annual certified audit and monthly "realized revenue reports." Failure to adhere to regulations can lead to a state takeover of municipal finances. The township budget is the authority for all spending in the municipality. The budget is prepared by the township manager from requests made by department heads at public meetings held in November. The manager presents the proposed budget to council. The council typically introduces and publishes its proposed budget in March. The proposed budget is presented at a public hearing where the taxpayers may voice questions and opinions. The final budget is voted on by mayor and council and submitted to the state for approval. The state verifies, among other things, that the revenues anticipated in the budget do not exceed realistic expectations and that the expenditures fall within the "cap" established by state law. Since 1977 the state has set a percent ceiling on the amount by which a municipal budget can be increased over the previous year. Exceptions to cap limitations include some, but not all, expenses mandated by the state, e.g., unemployment, and are offset by equivalent new revenue (e.g., fees or rateables added since the previous budget). The balanced budget is administered throughout the year by the township manager who co-signs all checks with the township clerk and/or the director of finance. He reports revenues and expenditures to the council. Any expenditure beyond the amount established in the budget requires an emergency resolution by the council. The finance department is headed by the director of finance, a certified municipal finance officer, whose position is mandated by the state. The department has three divisions: financial administration, tax assessments, and tax collections. The finance department receives the fees, fines, and taxes collected by the township. The director of finance invests these funds until they are needed for payment of bills. The director monitors the budgets of all departments by reviewing all vouchers and preparing them for payment once a month. His office assumes additional appropriate responsibilities as needs arise. The current and previous year budgets can be found here. The township has several sources of revenue. The legislature has empowered it to charge fees (for liquor and other licenses), to collect fines (through municipal court), and to levy property taxes. In addition, it receives some monies from federal and state revenue sharing and various grants. But by far the largest source of income for the township is the property tax. Property taxes are billed and collected by the office of tax collection based on the value of property as determined by the office of tax assessment. The positions of both tax collector and tax assessor are mandated by the state, which exercises control over their certification and tenure. The state requires that assessments be determined by general and uniform laws. Property throughout New Jersey must be assessed at 100 percent of its true (market) value. As the economy affects the prices of property, and assessments become outdated, township-wide reassessment, conducted by an independent firm, is required to maintain parity with county percentages. Township wide re-evaluation was performed in 1992, 2005 and 2010. Assessments are based on specific criteria established by the state. A resident may refuse the tax assessor entrance to the inside of his home. However, to do so is to waive the right to appeal the assessment. Appeals are made to the county board of taxation whose members are appointed by the governor with the consent of the senate. Further recourse is available through the New Jersey Division of Tax Appeal. Appeals must be filed by April 1 of each year. Information on the procedure is available here. Ocean Township's share of the county government budget (public hearing only) which includes the library budget and open space. In 2011, the assessed taxable value of land and improvements within the township was estimated to be $4,300,144,067. Not included in this figure are properties owned by tax-exempt institutions such as schools, houses of worship, post offices, cemeteries, and all public properties. Because of the difference in the budgets of the fire companies in the township's two fire districts, the total tax rate differs within the township. In 2011, the tax rate in Fire District 1 was $2.131; in Fire District 2, $2.168. At the rate of $2.131 per $100, property assessed at $270,000 would be billed $5,753.70. Major capital improvements undertaken by a municipality are usually funded by selling municipal bonds. Bonding allows a community to borrow money and repay the loan long beyond the budget year. Such indebtedness is appropriate to fund projects such as drainage, acquisition of open space, and major road repair where the beneficiaries of the work include future taxpayers. The amount that may be borrowed, the debt limit is established by the state as a percent of the equalized value of the real property of the township averaged over three years. Additional borrowing authority can be granted by the state division of local government services. The municipality stands behind the bonds of the township's school board and the sewerage authority. An advertised public hearing must be held before the sale of municipal bonds can be authorized by ordinance. Bonding ordinances require a four-vote majority. Whenever such a debt is proposed, taxpayers may petition to require a special binding referendum on the question.